Video: Newcastle United once shook the world when people believed in sleeping giants - Opinion | The Transfer Tavern | News, breakdown and analysis on all things football! 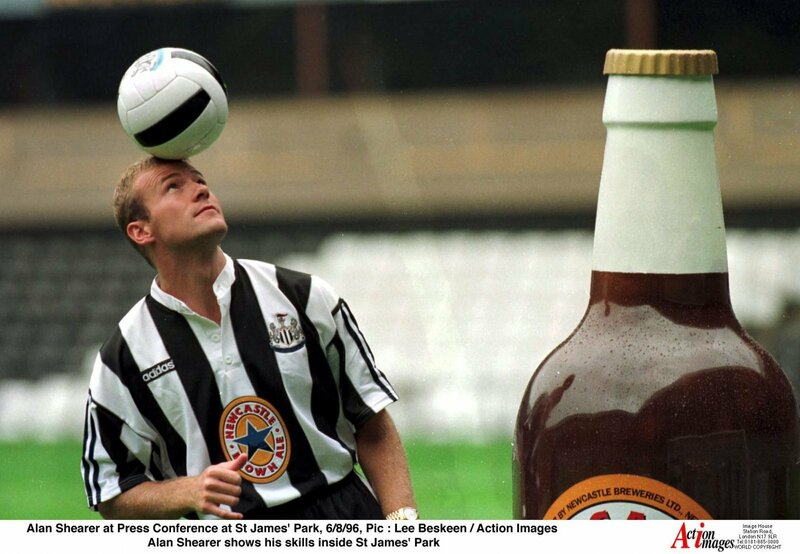 In July 1996, Newcastle broke the world record transfer fee to bring Alan Shearer back to his hometown for £15m, and he went on to become the club’s and the league’s all-time top goal scorer. After winning the Premier League with Blackburn and scoring 138 goals in 112 appearances between 1992 and 1996, Shearer shook the world by rejecting Manchester United for their title rivals. Shearer had won the Golden Boot for the previous two seasons and had a PFA Player of the Year trophy before his move, but his first season at Newcastle didn’t change that, winning both in his first year. How did the transfer shake Newcastle? The move didn’t just mean Shearer rediscovered his form that dipped at the end of the 1995/96 season, but it kept Newcastle as a force in the Premier League, narrowly missing out on the title to Sir Alex Ferguson’s side. His influence was reflected during the next season, where the Geordie’s ankle ligament injury restricted him to just 17 league starts as Newcastle slumped to 13th. Shearer led Newcastle to two successive FA Cup finals in 1998 and 1999, where they lost both against Arsenal and then United’s treble-winning side. They haven’t been to a final since, and you could attribute Newcastle’s poor cup form after Shearer’s prime years to the fact they’ve lacked a striker as prolific and able to deal with the pressure as Shearer was. How did the transfer shake the world? The following 10 years saw the record increase by £15m, while the lasting on-pitch impact on English football was clear in his record goal tally of 260 too. 148 came at Newcastle and as Blackburn were relegated to the Championship during the 1998/1999 season, sticking with Rovers may have meant he didn’t have a chance to break that record.